I have absolutely come to love bobs. They are my absolute favorite hairstyle and after having one myself it only makes me love them even more. 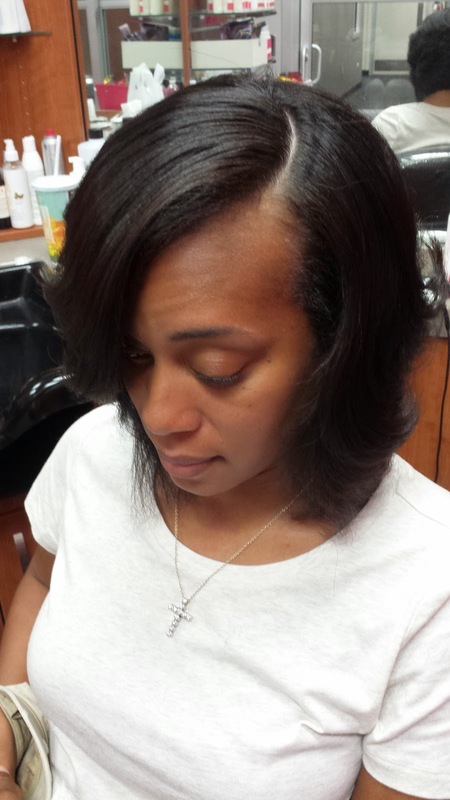 I made the decision to let my hair grow out to be the example to my clients as well as all of my blog readers in order to show that you can grow your hair to be long and healthy while having a relaxer. 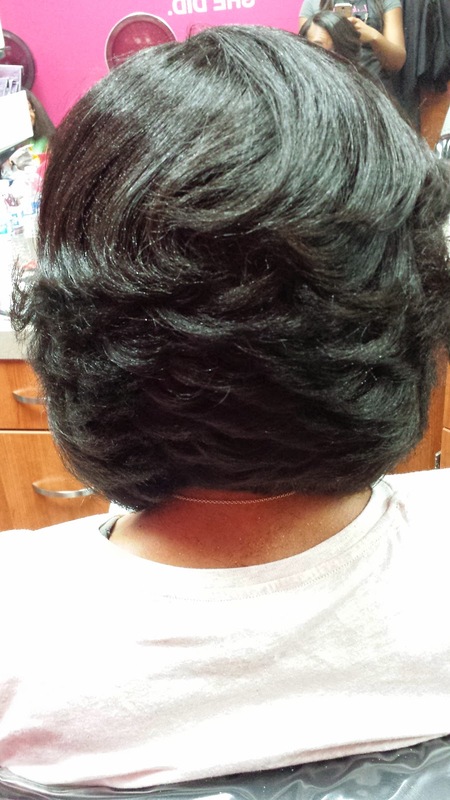 This client has relaxed hair which used to be long. 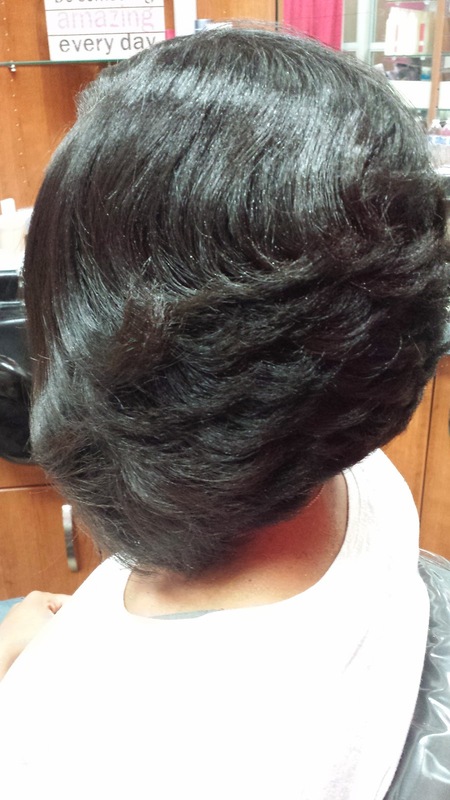 She was tired of ponytails and not really having a style so she wanted to cut it into a layered bob that got longer towards the front. 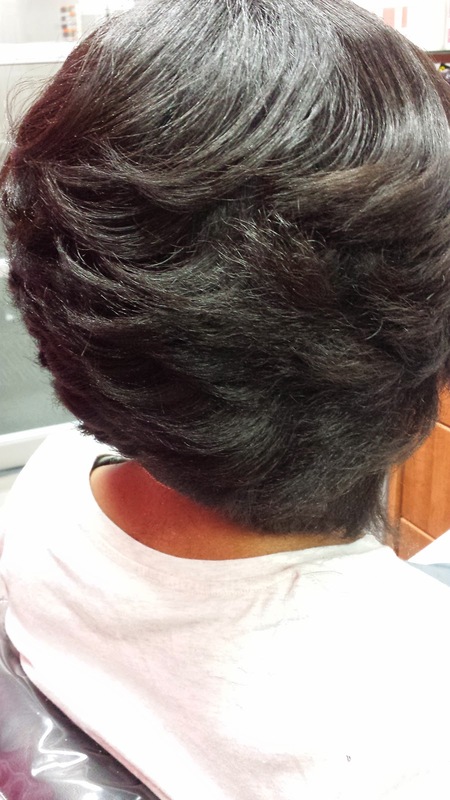 Since I chose to let my hair grow out (for now anyway) I can vicariously live through my clients' hair (one of the many perks of my job!). The first time I cut her hair was only a few weeks ago but it started growing back so fast and she wants it to stay short. So, I got to cut it all over again! I started by cutting it first which ended up being about an inch and a half off all over before I started to shampoo and condition. I used all Silk Hydration by L. Jones products starting with the clarifying shampoo, followed by the moisturizing shampoo, then followed by the daily conditioner, and lastly the leave-in. I combed her hair straight down then placed her under the hooded dryer. 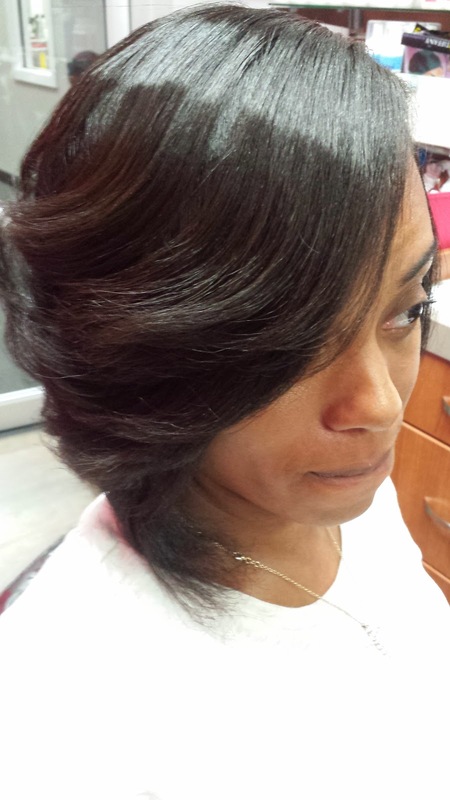 After she was dry I simply curled it the way it was cut in the layers. She was very pleased with it and is even talking about going much shorter! We will see what she decides. To take care of this style she can simply wrap it every night. Once she unwraps it will fall back into the layers. Afterwards, I sprayed Silk Hydration by L. Jones Miracle Potion no.9 on it to keep it from frizzing (it was gloomy that day) and add some shine.